Over the past year the U.S. Department of Education has approved requests from 34 states to waive certain impractical requirements from the latest reauthorization of the Elementary and Secondary Education Act, known as the No Child Left Behind Act, or NCLB. The current law hinders states’ actions as they work hard to fulfill the main goal of No Child Left Behind: ensuring that all students have the opportunity to obtain a high-quality education and reach proficiency on challenging academic standards. But many students, especially the nation’s most disadvantaged, continue to receive low-quality education. Secretary of Education Arne Duncan and the U.S. Department of Education are introducing these NCLB waivers as robust and complex education reform takes place across the country. States are implementing the new Common Core State Standards to improve math and English/language arts learning and are instituting more meaningful approaches to evaluate teachers and support their growth. While educators almost universally recognize that schools need to be held more publicly accountable for their results, NCLB’s original metrics are not the right approach to accomplishing that goal. Measurement such as “adequate yearly progress”—annual progress against school benchmarks for student proficiency, not learning gains—did not provide the right incentives for states, districts, or schools to improve their students’ educational experiences. To be sure, the federal government must still play an active role through the Elementary and Secondary Education Act in ensuring that states are held accountable for providing all students, particularly the most disadvantaged, with a globally competitive education. States should not be able to use this new flexibility to water down their expectations for school performance. Increased flexibility gives states the opportunity to fulfill the spirit of the Elementary and Secondary Education Act, which is currently stalled in Congress, while also allowing them to design and implement strategies that better meet local school needs. Most states are seizing this opportunity not in order to change direction but rather to “accelerate” existing reforms by removing unhelpful federal constraints. Flexibility from the No Child Left Behind Act provides states with five important opportunities to increase the odds that state education reforms will be successful. To be sure, even with new flexibility, the Education Department still determines which schools and districts the state should focus on, but their guidelines are much less prescriptive about how states should intervene. States must intervene in their lowest-performing schools, for example, in ways that are consistent with the Education Department’s “turnaround principles” such as “ensuring that the instructional program is research-based, rigorous, and aligned with State academic content standards.” States can meet these principles more on their own terms, however, determining timelines and actions that match schools’ particular needs. Within these larger principles, the Education Department made specific requests. States can “borrow strength” from the federal government when the Education Department sets national priorities for education. In order to receive flexibility, for example, the department requires that principal and teacher evaluations include student-growth data. Across the country, evaluating teachers partly based on student test scores remains very controversial. Through its flexible guidelines, the department has put forward a more balanced approach that is the new norm for teacher evaluation: Student learning is a critical component of teachers’ work, but their test scores should be one of many aspects when measuring effective teaching. The department’s position establishes the right path by moving state reform forward and ensuring that evaluations include meaningful student performance. At least 27 states are already developing or implementing teacher- and principal-evaluation systems that would satisfy the waiver requirements. Discontent with the existing NCLB law combined with these new requirements increases states’ power to sustain necessary but politically difficult reforms. Flexibility gives state education leaders the option to put federal dollars to better use in accomplishing important educational goals. Consider, for example, the funds of the 21st Century Community Learning Center, or 21st CCLC, that were established through No Child Left Behind to support academic enrichment activities for students outside of school hours. Without a waiver, states can only use this money for afterschool and out-of-school activities. Flexibility, however, enables states to use these funds to expand the school day or year to provide more time for student learning—a powerful intervention when students use the additional time for high-quality activities. 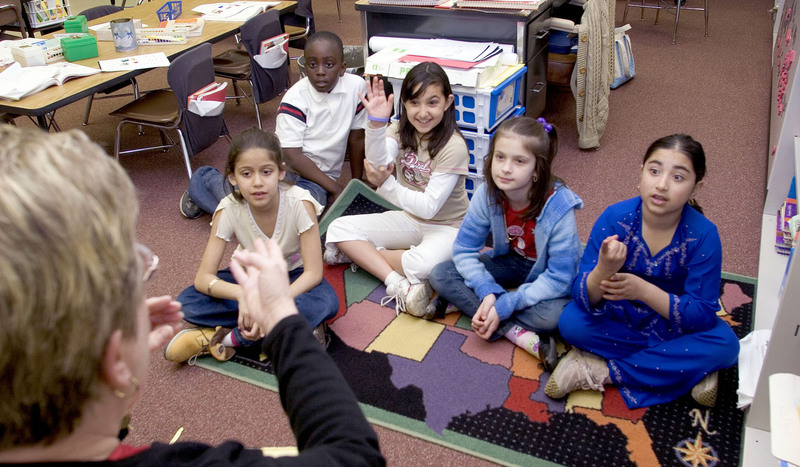 As recent CAP publications highlight, Massachusetts, New York, and at least a dozen other states have already pledged to use 21st CCLC funds to provide more learning time for students in more schools. Before Massachusetts signed the waiver, for example, about 75 schools in the state operated under an expanded school calendar. With new flexibility, the state intends to increase the number of schools using expanded learning time as a way to improve many more of its lowest-performing schools. This is a promising development, and CAP has called on more states to follow their lead. With new flexibility state education leaders no longer need to manage their schools under two accountability systems—one developed by the state and one prescribed by federal law. States can move away from the No Child Left Behind Act’s narrow, unrealistic, and unpopular goals to broader, more attainable, but still ambitious objectives. Many states applied for waivers, for example, to guarantee “a unified accountability system.” North Carolina no longer requires schools to meet “adequate yearly progress,” a one-dimensional measure not useful for planning improvements. Instead, the state will be able to provide useful information across a small set of state-determined school-performance measures, holding local leaders accountable for student proficiency and growth in ways more directly linked to action. In the process of obtaining flexibility, states such as North Carolina worked with the U.S. Department of Education to set performance goals that meet federal expectations while meeting the needs of students and states. Such shared work between state and federal education agencies is unprecedented and sets the stage for future collaborative work that continues to serve the best interests of students. The U.S. Department of Education recognized that one of the No Child Left Behind Act’s unintended consequences was “an over-identification of schools as ‘failing,’” and therefore requiring automatic attention. The nation’s schools need a great deal of improvement, of course, but states lack the capacity to improve all of their so-called failing schools at the same time. Before receiving flexibility, states used their limited time and expertise attempting to “assist” too many schools at once with only a light touch. The waivers allow them to focus their attention and money on the schools that need the most support. Twenty-two states recently asserted that their new accountability and support systems will strengthen state education agencies’ capacity and effectiveness. Now these states can leverage their limited staff and funding in ways that support a much more manageable set of schools, which will significantly improve the odds of successful school improvement. Flexibility from the No Child Left Behind Act gives states new opportunities to implement important education reforms such as evaluating teachers more meaningfully, expanding learning time for students, and setting higher standards for student learning in English and math. Now states can determine realistic and ambitious expectations for school performance and can provide more personalized and stronger support to the schools most in need. Moving forward the Education Department and states should continue to work together to ensure that states will meet their pledged goals. Robert Hanna is a Senior Education Policy Analyst at the Center for American Progress.